Another outfit I put together featuring a more edgy style for fall. I got a compliment from a co-worker at work a week ago when I wore this. Wearing a black t-shirt that I got from Top of the Rocks at the Rockefeller Centre in New York City. 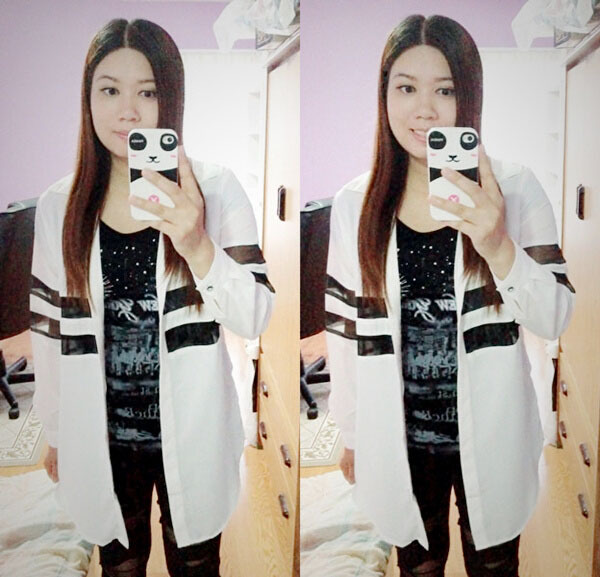 White long-sleeve organza-panel long shirt from YesStyle. 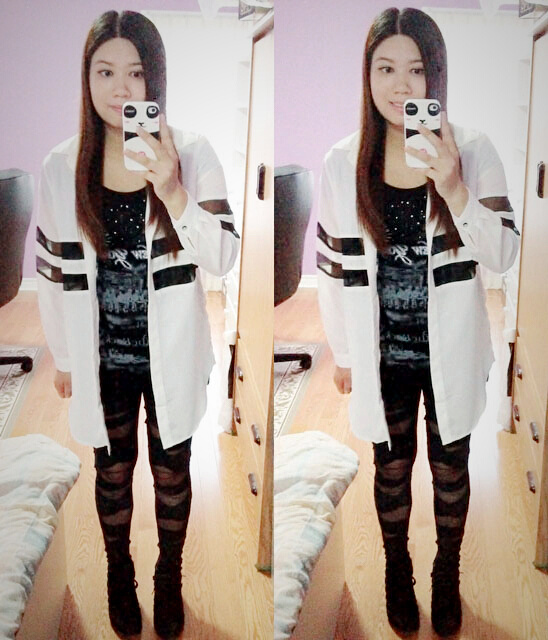 Cross bandage tights from YesStyle. Wedge sneakers from Ardene.